It is our aim to ensure that all pupils at Portlethen Academy are given every opportunity to develop essential skills for learning, life and work through the curriculum and their wider achievements. 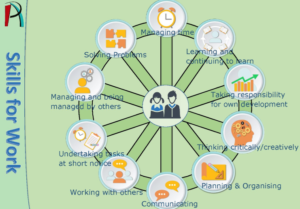 The Portlethen Academy Skills Framework is based on Aberdeenshire’s Skills for Learning, Life and Work but defined in such a way that pupils have a clear understanding of what these skills are, how they can develop them, and most importantly how they articulate these skills to gain entry to a positive destination. 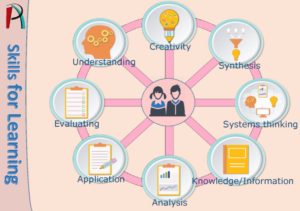 These skills will be displayed in every classroom and staff will be encouraged to make reference to them in the learning intentions and success criteria of their lessons. 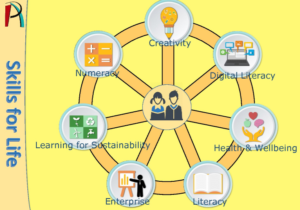 Pupils will record the progress of the skills they are developing in each subject and identify situations where they can utilise these skills across a range of different subjects.